Fresh pasta with crab in an herb butter sauce and roast beets & donut peaches. 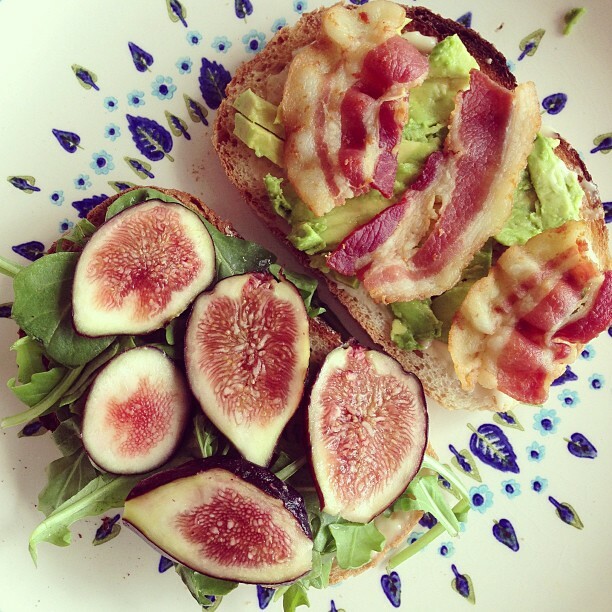 Bacon, arugula, avocado and fig. Sweet and salty, crunchy and squishy. Everything you want in a sandwich. Melt butter and sugar together in a pan, then add bananas, water and vanilla. Cook until sufficiently gooey. The ways that beer bread makes life better are many. For this one I used a super crazy carmelized french toast recipe from Epicurious, but first made beer bread from scratch. I figure if you’re going to pig out, pig the eff out. Easy way to take the super easy beer bread recipe to the next level. On a dreary winter’s day, don’t be afraid to dip your bread in olive oil AND maple syrup. Don’t forget the salt! I’ve made this so many times since learning this simple, awesome recipe. Great easy recipe here for spaghetti and clams. 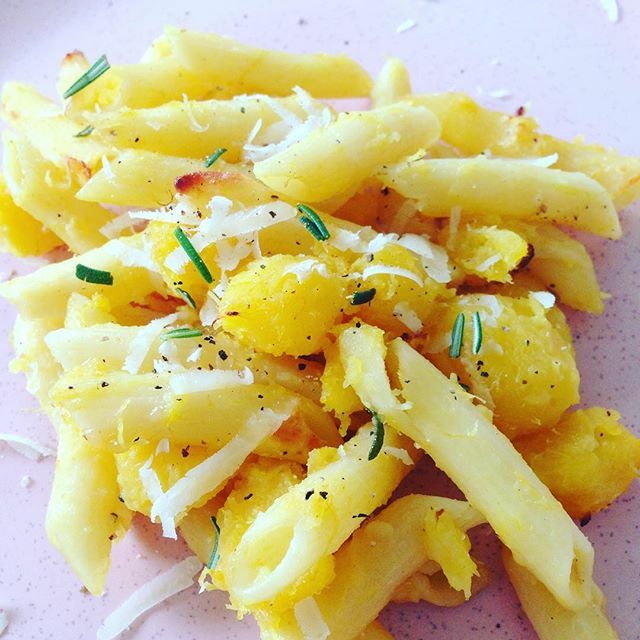 What to do with farm fresh fennel from the CSA. Lydia’s sausage fennel pasta is rad! Don’t fully cook the pasta, finish it up in the pan with the sauce. Cook chopped stems in garlic and hot pepper, then leaves, then when soft add farfalle pasta and toast for a min, then add 1 cup broth at a time once previous broth has evaporated. Stir constantly until pasta is perfetto per te. Add feta when pasta is done. Egg and cheese on a Portuguese sweet roll: prosciutto, hot pepper, lemon mint, basil, parsley, garlic scapes, cheddar.